A lot of people who create from the mind often wonder why their work doesn’t seem so fresh, as the Arcturian Group tells us below, and those of us who are aware of the flow can understand that it’s because the mind is the receptor, not the producer, of creativity. I’d imagine it can be frustrating to gain small, continuous creative glimpses followed by mind-driven void moments that seem impossible to break out of, but our uncreative moments are catalysts that are intended to help us move out of the mind and into the flow of the heart. Coping with writer’s block is probably difficult for the people out there who don’t grasp the spiritual significance of the things they create, and we’re fortunate to receive so much helpful guidance about this and myriad other important subjects. We’re also reminded that creativity isn’t limited to music or art and that new ideas are presented to us in every area of life. Intelligent, spiritual scientists on the other side influence the minds of prominent scientists on our world today, and I’ve said before that it’d be amazing if every incarnate scientist was open to the influence of intelligent souls beyond the veil. Can you imagine how great it’d be if our modern scientists were in touch with Albert Einstein? We might be able to learn a wealth of important and amazing things that’d accelerate our evolution. I look forward to the time when everyone’s open to the greater spiritual influences out there, because they’ll help us expand our current limited paradigm. We’re then given some great advice in regards to moving beyond the mind and creating from the heart. We can take as much time as we need to sit blankly at our respective canvases before we get to work, creating away with the influence of the heart. 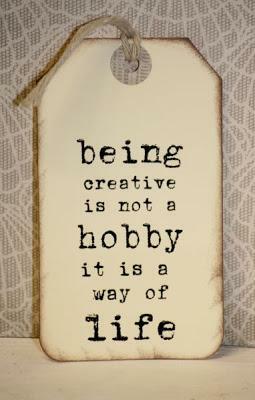 Even though forcing the creative flow is easy, we’ll curtail it if we do. We have to let it come in doses we can handle, even if they’re small, and we have to be as receptive to them as possible. If we try to force the flow, we’ll squeeze out a bunch of mind-centered gibberish that won’t help us do the things we really want to do. Moving beyond the influence of the ego will lead us to open up to the heart-centered flow in a much less inhibited way than trying to force it ever will. In our final quote, we’re told that the more we realize the mind’s inability to produce a significant creation, the more we’ll tap into the flow that enables us to create wonderful things and enjoy ourselves in the process. Our journey – evolutionary and creative – is never complete. We might learn something valuable today and feel like we have it all figured out, but tomorrow, we’ll be introduced to something entirely new that’ll change everything. In all things, we’re encouraged to go with the flow and let our mental pressure and judgment fall away. We’re encouraged to let the heart take over when it comes to joyfully creating divinely inspired art, and our mind’s only intended to be a receptor for this brimming creativity. Learning to surrender the mind and go with the heart-centered flow will enable us to experience a wealth of creative gifts, and as long as we take the pressure off of ourselves, we’ll start creating wonderful works of art that that we wouldn’t expect ourselves to be able to create. We’re capable of much more than we think, and releasing our mind-centered tension will help us realize or true capabilities and the fact that we’re divine beings who can do and be anything. We aren’t limited in any way, but our belief in limitation has kept us from accessing the abilities beyond our current perception – the creativity-boosting flow of the heart being one. When we surrender to the guidance the heart space is giving and flow from there, everything will become much simpler and more understandable. We just have to take that first, difficult step, and when we do, we’ll start our long and worthwhile journey back to the fullness and vibrancy of the open heart space. Wes Annac – Happy to encourage openhearted creativity. The Arcturian Group Message, November 10, 2013, http://www.onenessofall.com/. I’m a 20 year old awakening seeker and creator of The Aquarius Paradigm daily news site. The Aquarius Paradigm features daily spiritual and alternative news, as well as articles I’ve written and more. Its purpose is to awaken and uplift by providing material that’s spiritually inspired and/or related to the fall of the planetary elite and our entrance into a positive future. I can also be found at Conscious Oneness, The Golden Age of Gaia, Lightworkers.org, Ashtar Command Crew, Facebook (Wes Annac and The Aquarius Paradigm), and Twitter. Next Knowing Whispers: What Are You Hiding?